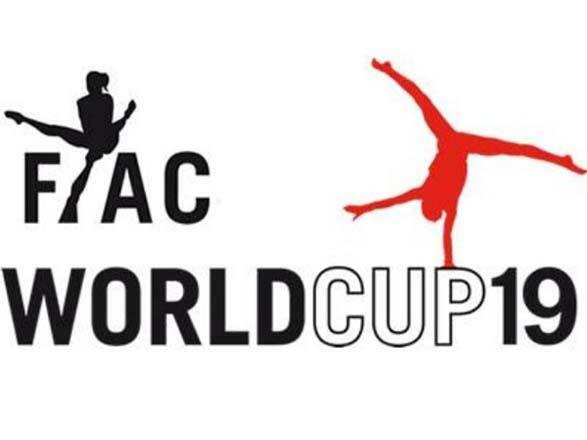 FIG World Cup Acro-2019 completed in Belgium’s Puurs city, Trend reports on April 16 with reference to the Azerbaijan Gymnastics Federation. During the competitions attended by representatives of 18 countries Azerbaijani athletes performed in the program of mixed and men’s pairs. A mixed pair of Abdullah Al-Mashaykhi and Ruhidil Gurbanli ranked 8th scoring 21.320 points in the finals, and a mixed pair of Seymur Jafarov and Murad Akbarov ranked 13th. Azerbaijani female gymnasts Leyla Bashirova, Nazrin Farmanova and Mansuma Mammadzade participating in another international tournament held alongside the FIG World Cup Acro-2019 ranked 28th.